I knew I loved the internet for some reason. I believe the internet is killing religion only because the internet provides fast communication to anyone on the planet who is on line. That allows a sharing of ideas and issues and can be a very influential tool to stir thinking about the negativity of organized religion. Since history has shown that all of the misery of human history is directly tied to all organized religions. Political differences are bad enough but religious differences are far worse. Organized religion builds boundaries around different people and prevents the necessary harmony among people to just get along with each other. IMO, organized religion has caused more harm than good. Karl Marx famously wrote that "religion is the opiate of the masses". But if he were alive today, he would write that "the internet is the opiate of the masses". You cannot go anywhere in public without seeing practically everyone's face staring at their so-called "smart" phone. That is true. I know a guy who wears his tablet at a bunch of phones around his neck, for goodness sake. And no, he's not a businessman. He's been diagnosed with an internet addiction. I know several people addicted to religion. They go to church every day and yet are the most vile, hypocritically mean-spirited people around. They spout their nonsense nonstop, and can't go five minutes without judging someone even though commanded NOT to do so by their precious Jeebus. So, what's your point? Internet addicts don't go around slaughtering people, but religious nutwhacks sure do. A religious community in Massachusetts sentenced people for being witches in the 17th century. Because a majority of any population group "believes" in something, that in no way means it is correct. In the past, most doctors believed that bleeding via a leech could cure disease. In the 1800's many people thought that people would go crazy if man traveled at the unGodly speed of 17mph offered by the first trains. A majority of people from the early 1900's would tell you women should not vote. The same people would tell you that biracial marriage was an affront to nature. I think the internet helps the extremists. Religion is being killed before people login. People are starting to put 2 and 2 together when they hear Christians bable against things yet everyone can see either god doesn't care or exist because he does nothing about the things christians says he's against. History has proven over and over that any advance in information technology and communication is far more likely to advance religion than to kill it. This story shows that those days may be over. With the Internet, it's pretty hard to censor information like in the old days when churches tried to control everything that people heard. Engineers: What history are you referring to? Religion is losing ground in almost all technological savvy countries in the world. I suggest you get out into the real wold. You will see that your statement is false. If the internet "helps" religion, how come in the middle east the internet is restricted? I can't speak to the middle east. But as far as the internet ... it is a blessing to Christianity. You have public forums like this one where we can debate the issues. There's Facebook where I can more easily witness long-distance to family members. There's YouTube where you can watch the free film "Noah and the Last Days." And webcasts where you can see things like the Ken Ham, Bill Nye debate. You can also push hate (wesboro baptist church) Deny gays and lesbians rights (Catholic Church) Con people into thinking the world is going to end (Harold Camping) confess sin (Rev. coy and Swaggart just to name two) I could go on but I don't want to make you feel bad. Engineersguidetogod, the internet isn't just any "advance in information technology". You can't compare it to something like the printing press (whose first product was the Bible). Aside from the occasional book by Dawkins or other top seller, what medium ever exposed anyone to the atheist point of view? With the internet, all of the sudden the flaws of religion are being held up to the light for all to see. It's unprecedented. The internet will continue to be terribly damaging to religion. Not really, religion needs no real help in its own destruction it is managing quite nicely all on its own. I think NO, the internet helps spread NONES by speading knowledge. The none would grew anyway but internet help speeding up the process. Just like Paper helped to spread Islam (Muslim captured Chinese prisoners who transfer the paper makiing technology to Muslim in 750) , Movable block printing technology helped spread Bible and Martin Luther's revolusion within Christian in 1400s. Sorry – that's confusing. No like no the truck running him over didn't kill him because he was going to die when his heart stopped beating any way? Or is it yes because internet helps spread knowledge?
" 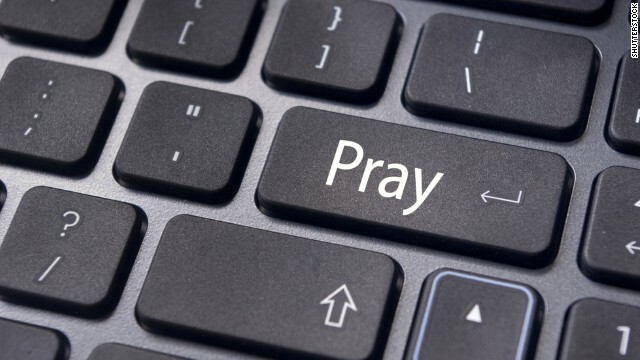 Is the internet killing religion?" Let's see, it's 2014 and 89% of the worlds's population ( that's 623 billion individuals) are theists and consider themselves religious. Unless there exists some "new math" of which I'm unaware, the claim may be just a little, well, fallacious. Yes, headlines grab attention are often misleading, but pretty clear from reading the article that they are talking about the US. Does this new math you speak of also include how you came up with the 623 billion? Or have you not learned how to use decimals yet? 89% of the World's population is 623 billion. ROFLMAO Did you do fifth grade maths? How did you put it, "Unless there exists some "new math" of which I'm unaware, the claim may be just a little, well, fallacious." Yeah, I stepped into that one. Lol. Thanks for your honesty. In all fairness, had it been a non theist using numbers to support their position and then insert a " new math" quip, I probably would have pounced on the opportunity to highlight their inadvertent mistake. Well,the one data point of 89% in 2014 is meaningless unless we knew h'ow many were religious in previous years. Also, where did you get this "data" from? If in 1960, 95% of the world were "religious" then it does point to a downturn in religion in the world. Now if your 89% could just agree on which god is correct and stop killing each other as a method of persuasion, then the world is definitely a quite religions place. Why is it that Christurds have to LIE to try and get people to believe in the horse crap they believe in? If what they were believing in were actually true – why would they feel the need to lie? Please cite your source for this figure of 89%. So, not only is the internet making it way too difficult to get away with misrepresenting science and outsiders, it also takes the place of church as social gathering place. Why do I have that old tune "Video Killed the Radio Star" playing in my head? Yeah, but "video channels" don't show videos ... too busy promoting teen pregnancy. And radio stations are still going strong. True. Although those teens aren't getting abortions, so that's a good thing, right? True. Love your children, don't kill them. Losing My Religion was a better tune. I like john lennons Imagine song. Internet is not killing religion, the urge to sin does. In fact, the internet could be used to spread the teachings of God. More likely it is that people do not accept the bible's definition of "sin"
Sam, the Bible is the authority on what sin is. Outside of the Bible, you just have people behaving badly. The Bible explains how those bad behaviors are actually transgressions against God, therefore sins. You can't define sin outside of a biblical context. So child molesting is NOT a sin. We already know that slavery is not a sin and the same for discriminations. So much for the "morality" of sins. It's 2014, what a book of fairy tales says about something being a 'sin' is irrelevant. Good thing it's not a book of fairy tales. And are you saying just because it's old means it's irrelevant? Some people may not accept necessary the bible testimonies and/ or the teachings of God due to a lot of reasons. One is it is hard to do or not sin. Another is they are not introduced to a belief in God at birth or at an early age. Indoctrinating children in biblical myth is child abuse. Pleas show where you god is relvant. Has he stopped wars? Has he stopped the xtians in Northern Ireland from STILL killing each other? Why must there be an orange or green? Who is the better xtian, Baptist, Anabaptist, Methodist, Evangelical Baptist, Southern Baptist? Lutherans, Catholics,Prysbeterians? All founded on Judaism. Even Judaism can't agree, nor Islam. Discriminantion and bias abounds in all the religions of the world. Depends on what you are teaching your child. If you are teaching a child to love, to be tolerant, compasionate which are teachings of God, is that abuse? I do not think so. To spread the alleged teachings of an alleged but never proven god. Belief in a teaching should not focus on where the teschings came from but the content of the teachings. Aaron son comes to mind. Imagine a kid thinking that his god might order HIS daddy to kill him. And we wonder why some kids a screwwd in the head? I wonder if some "religious" teaching triggers some of these assaults that the teens go on. Mad at the world but don't know why? Where was the 'comfort of god for these kids? No god anywhere. If you tell me god was there for them, I'll call you a liar, as... you. don't know. that. Peace. As i mentioned before because early believers want to impress God they thought sacrificing a son, an animal, offerings is Gods teaching. The sacrifice is for the sake of others as shown by the examples by Jesus. We cant buy our way to heaven and too much of anything is bad for anyone. Even religion, a belief or love. Why kids are screwed in the head is because they are lost, misguided and the teachings of God will guide them in the right path. Considering it is the true teachings of God. And whose version of the "correct" word of God? You can ask 20 Christians what they mean by this on any particular issue and get 20 different answers. Different answers are OK, provided they are on minor issues and don't put the person outside of orthodoxy. "orthodoxy" = Right way. And who get's to decide what's orthodoxy? Excellent question. That is for humans to find out. What is correct. What is right. What is moral. What God wishes for us to do. Think for ourselves. Determine what is moral. I notced you did the Hokey Pokey, and turned yourself around, but did not give a direct answer. If you know what god wants, and you say you do, alll the time, tells us. Stop doing the "monkey" an screech with deflection.Morals do not come from your book of myths, or your god. Hammurabi has better laws with moral implications than did the babble, and prcluded the xtian faith and jeebus to boot. Peace. Hokey pokey? Dont know why you said that. We have different interPretations of what is moral. We decide. I am not saying mine is the right one but i am confident it is. Hammanabi may be the same God i believe in. So are you saying that may lack of "faith" in a very unlikely sky fairy is a sin? You use your religion to call science a sin? Lack of faith or humans evil tendencies. Both i think is related but humans evil tendecies is more than likely the reason. Science is good. The product of science may not and its findings because it could be used to promote our moral decay. The internet IS spreading what the Bible says and that could be contributing to the increase in non-believers. Increase of non-believers may be caused by some believers with an interpretation not consistent with the teachings of God. NO the internet is not a good venue for spreading hate. Too many good people on line. True statement. Why spread hate ? Spread love, tolerance, compassion, etc, teachings of God. Fairy tale characters don't have teachings...they aren't real people. Let us say you are right. Question is the message good? Right? Moral? Ah, so opening a science book and learning the Earth ISN'T just 5,000 years old, isn't flat, and doesn't have the sun, planets and stars revolving around it is SINFUL, eh? "Ah, so opening a science book and learning the Earth ISN'T just 5,000 years old, isn't flat, and doesn't have the sun, planets and stars revolving around it is SINFUL, eh?" Science findings belief that the earth is more than 5000 years old is not a sin. It is a differing opinion but not a sin. The utility of religion is to gather like-minded people together to accomplish certain objectives. The question of God's existence is unimportant in that context.Ideally God would appear tomorrow in a manner that is indisputable, He/She/It would make it clear to all the religions that are wrong that they are indeed wrong, and get humanity back to worshiping the Lord as He/She/It intended. That won't be happening real soon. Ask yourself why that is. "The utility of religion is to gather like-minded people together to accomplish certain objectives." That's also the unity of political parties, sports teams, and sic-fi conventions, although religion sometimes resembles all of these at once. Yes, kudlak. From the root regulirere, (sp) to bind together. I love the idea that asking ourselves what the answer is is going to result in us guessing the right answer! Isn't believing that we can figure out the right answer based on the pitiably incomplete information that we have how we got into this in the first place? I doubt that aspect of human "intelligence" is going to change soon, from either side of the religious question. "Downey analyzed data from GSS and discovered a correlation between increased Internet use and religious disaffiliation." The foolishness here is that Internet use has increased with time. You can cause almost anything that increases with time with the increase in religious disaffiliation. The % of people who are college graduates might be a better place to look, but that would point out that the more people are educated, the more they see through the b.s. of organized religion. You could also tie it to the rate at which people use salsa, cable TV, cellphones, % Hispanic population, average income in China, the decrease in the average amount of polar ice, the decrease in the number of Monarch Bufferflys – and ALL of those have about as much credibility as tieing it to the Internet. mickinmd: There is more to this than a simple correlation between the two. Real statistics looks beyond correlation and looks for a true relationship between the two. Maybe I'm missing a finer point but you seem to be saying something like Just because gas prices have increased while at the same time people are less religious that does not mean that people believe in God less as the price of gas goes up. Besides seeing a positive or negative relationship in changes of two things, you have to point to some reason that the two may be connected, and then also remove as many other factors to show that the identified correlation has merit. Having said that, I have doubts about whether the Internet really has had that big of an impact on religious leanings. What exactly is wrong with Christianity? I believe an answer here would be inappropriately long. Luke 19:27 for one thing. Luke 19:27 is not a sect? Right, but the question was what is wrong with Christianity. Go read Luke 19:27, and think about how "God is love." But isn't Luke 19:27 part of a parable? Nope, Luke 19:27 is not part of a parable. Jesus, assuming he lived and the Bible it historically accurate, told his disciples "but those my enemies, who did not wish me to reign over them, bring hither and slay before me." Luke 19:27 certainly is part of a parable, it's the last line in the parable of the ten minas. Sorry ccfarris, but that is at the end of what's called the parable of the stewards. I do have problems with it, because by the interpretation of some it bolsters the claim that the God of Abraham will deal swiftly with those who refuse to believe in him. But this parable starts at Luke 19:11 and goes through 19:27. Of course Luke was a disciple of Paul and supposedly the stamp of approval for Paul's ministry as divine scripture comes from Peter 2, except that -oops – most NT scholars say that Peter did not author Peter 2. First and foremost is the bible itself. The earliest texts we have is 3rd century and those are only fragments. The first full copies (and I emphasize COPIES) are 4th century. So we don't even have reliable texts to go by to start with. Next is so called Christians themselves. Pick and choose seem to be their method of madness (so to speak). They tend to choose what they want to obey in the bible and ignore the rest, all the while claiming it (the bible) is the inerrant word of their god. If the bible is so flawless and inerrant, then it should be all or nothing. Lastly, just look at the history of the church itself from the beginning. That should be a huge clue as to what's wrong with Christianity. Bible is not the same as Christianity. It was given to us to understand it, not to prove it. The fact that you think it's not reliable it's not relevant to Christianity. Also, while many so called Christians are indeed horrible human beings doesn't prove anything. They do this against Christian teaching not according to it. And still, they don't come even close to the really bad guys who are/were atheists or other religions. Actually, the bible (especially the NT) has a LOT (almost everything) to do with Christianity as it is a very "bookish" religion as it wouldn't have made it out of the first century simply as oral tradition.. In fact, if it weren't for the new testament, we wouldn't even know who Jesus was as he was only mentioned in very brief passing by Tacitus and possibly Josephus (some of his writings are thought not to be his at all but added in later by scribes). The hate it spreads and yes, the ignorance it glorifies. Nope. In many cases it's good that adherents ignore it or else we'd still have slavery. Yes, engineer. There is that, isn't there? What is that called? "When a new technology, such as the printing press or the Internet, unleashes massive cultural change, the challenge to religion is immense." Right, so the spread of knowledge threatens religions control on the masses and they have to come up with a way to reassert it. Maybe people have started to wake up to that and that knowledge is what's killing religion. You ever think that maybe, religion doesn't die out when new technology comes about because it speaks to a part of people that technology cannot reach? Maybe religion is still around because it fills a void that science cannot. Religion/spirituality does satisfy part of the human experience unsatisfied by science. The question is, as science grows and religions stay static, which religions will dwindle and which forms of spirituality will grow. That will indeed be interesting. I feel like Science is a never-ending pursuit though. With each discovery we make, it seems as though we open a pandora's box of new questions. And I set my mind to seek and explore by wisdom concerning all that has been done under heaven. It is a grievous task which God has given to the sons of men to be afflicted with. I have seen all the works which have been done under the sun, and behold, all is vanity and striving after wind. Knowledge is like chasing after the wind. You can feel like you are making progress, but there is always an endless journey ahead of you. It is endless (in a practical sense) because we are creating new things as we go. I don't see that as a bad thing or even a draw back. I don't know man. Maybe you are right. It just sounds like a video game with an infinite number of levels. I want to beat the game eventually and move on to the next one. Heaven might be like that too (i.e., Video game with infinite levels), but in Heaven, I bet you don't have the worldly angst and drives to complete things like we do on Earth. Static? Religion has never been static. The religion of the God of Abraham has changed dramatically over the centuries. Even Christianity, which is relatively young, has undergone major changes and upheavals. Right now, in America, we are in the midst of a major culture change in churches. Religion changes more slowly than science, but still quite dramatically. That's why we're not sacrificing lambs at the temple these days. But I will say this for your point - any religion that truly is static is doomed to die. In fact, it is already dead. Anything that brings knowledge and insight to the masses will, eventually, kill religion. Just like the Printing Press and Radio and TV did. Just give it a little more time. It will eventually kill religion. Just a little more time. He'll come back when He's ready, Sam. Maybe He wants you to repent. Maybe you are the last one He is waiting for. Evidently, Jesus was lying when he said he would return during the lifetime of those listening to him, or, perhaps, he just needs a watch. I wonder what the atheist's perfect world looks like. No religion. People just working together every day toward the goals of humanity. Building newer and newer technology that will eventually allow us to live forever. Making robots to replace human labor. Building spaceships to colonize other planets. Becoming so technologically advanced that we could engineer life ourselves on other planets if we wanted to. Jumping from star to star through the eons, gathering as much energy as possible from each star until all stars run out of energy and then, on a day very very far in the future, we will no longer have any energy left in the universe and the last survivors of humanity will die during the heat-death of the universe. Do you know what the word atheist means? I know what the word atheist means. Lacking a theism. I just don't think Atheists know what it means as they keep attacking religions. If you were without belief, you would not have any arguments with anyone as you would have nothing to disagree with them over. The atheists on this forum seem to have PLENTY of beliefs about faith and God. I think Dalahast's characterization of them as "anti-theists" is probably more accurate. Anyhow, I still would want to know what the perfect world of non-believers looks like. I think Dalahast uses that word as a epithet. But that's another conversation. There has never been a perfect world, either with or without religion. There never will be. Why? Humans are volatile. With or without religion. Atheism does not mean without belief, guidedans. You think that the reason why we have not found intelligent life in the universe is because that pretty much immediately after becoming intelligent, life will just destroy itself with weapons or accidental black holes or something? Thus, probs in like 100 years, we're probably doomed? Guidedans, I think those are your thoughts, not atheistic ones. Has your faith assuaged your fears? I don't legitimately think that. I just like to think about the whys out there. I got no fears in this life*. I got Jesus. Lol. Spiders are our friends. Everything you describe could happen with or without religion. I wouldn't know how to define a perfect world/future. Totally agree with out on the with/without religion part, but I don't get the end-game for non-believers. I don't know what they are fighting for. I understand what Christians are fighting for, they want God to live and rein on Earth and then us to be in His presence in Heaven for eternity. I don't know what motivates the non-believers. I don't know what motivates non-believers in general, just me. I would bet it is different for each one though. You assume that non-believers have some overarching goal. Personally, I value my family, community, country, mankind, and all life and seek to make decisions that promote them all the best I can. "Non-believers?" I believe in a lot of things, but not in "the supernatural" and other fairy tails. Also, I hate to tell you, but there is no Santa Claus or tooth fairy. Uh, How about peace on earth, equality for all, a justice system that is not for sale, no corruption, honesty, integrity. More moeny spent on education and social justice than on the Department of Defense, CIA, and NSA. The hard line religious right via the tea party and GOP fight many of these things. I get that, but isn't their an end goal in mind? Like, "I want to leave behind a memory of myself with people" or "I want to make a change to the world that will propagate after I am dead"
If you don't have a goal, then what is pushing you to move forward? But what does that get you? Yes, it would be great if our governments and businesses all worked toward the good and that people fought for integrity, or better yet, didn't have to fight for integrity because everyone was so good, but what then? Like, what would that world then do? We cure all diseases? We colonize the universe? What do non-believers want humanity to accomplish? That is not one of my goals. Boston, I don't care what goals you don't have, I want to know what goals you do have! Why must there be an ulterior motive? I think I told you, make decisions and take actions that promote my family, community, country, mankind, and all life the best I can (make good trade offs when they are in conflict). It's not an "ulterior" motive. It is just a motive! My motivation is to bring glory to God and to shine as brightly as possible here because I know that the more people I get into Heaven, the more glory will be directed at God. Why does God need glory? As an absolute dictator, he can do anything his wants. Guidedans, ah. I see. Good luck with achieving your goals. God doesn't need glory. He deserves glory. I am happy to help give God what He deserves. "My motivation is to bring glory to God and to shine as brightly as possible here because I know that the more people I get into Heaven, the more glory will be directed at God." 1. You are selfish enough to want recognition for bringing people to your God. You don't do it because it is "simply the right thing to do." It's a slight twist on Pascal's Wager. I and most other atheists do things because they are simply the right thing to do. We aren't doing it to get to some spiffy afterlife – we don't believe in one. 2. I don't believe in a heaven or afterlife. 3. So if God's Earth Patrol comes back and smites all us sinners, and all the religious nut jobs inherit the earth and it becomes paradise, just how long would it be until you get bored? WHAT WOULD YOU WANT NEXT? What would your next goal be? Ya"ll gonna be in a bad place unless you come to Jesus. I want you to get to enjoy God. I have my desires and I am sure you have yours. I am pretty sure I won't get much more than eternal bliss in Heaven if I convert you or someone else. Do it for you. Do it for the big guy in the sky. Threats are considered, "Argument from Consequence," and are no more meaningful than moving the goal posts when facts outweigh myth. Let he who is without sin Comcast the first stone. let's hope and pray Pope is an internet junkie. I doubt the pope actually believes in a god. His continued efforts to deny children victims, to protect pedos at the vatican and enable bishops to lobby against victims are proof of that.